A lot of the music from the ‘90s was loud, pissed off, in your face—Soundgarden, Pearl Jam, Stone Temple Pilots Grunge. It was the identity of the decade, but grunge’s baby sister was certainly heroin—the drug that helped fuel and kill the last great music scene of the 20th century. Mazzy Star was that quiet, mysterious baby sister of the decade, and Hope Sandoval provided that voice—the voice that exists in the peak of that heroin haze, slow and dreamlike with a haunting tambourine jangle. Mazzy Star released four studio albums between 1990 and 2013. She Hangs Brightly (1990), So Tonight That I Might See (1993), Among My Swan (1996) and Season Of Your Day (2013). Sandoval formed Hope Sandoval and the Warm Inventions with My Bloody Valentine‘s Colm O’ Ciosoig in 2001 and have since released two albums, Bavarian Fruit Bread and Through The Devil Softly. 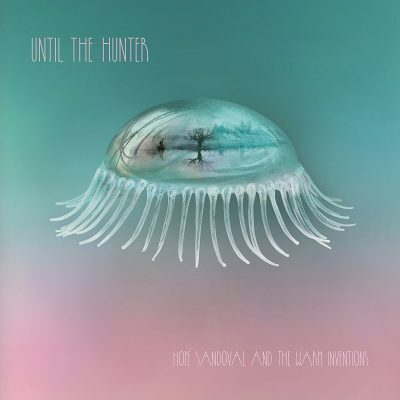 Hope Sandoval and the Warm Inventions’ third album, Until The Hunter, is a shy little beast that wakes slowly and occasionally bites. Mazzy Star has been called dream pop, neo-psychedelia, acid folk and trip-hop country. They deliver all of the above in this endeavor. The standout track is Sandoval’s duet with Kurt Vile, “Let Me Get There.” Vile brings his own melancholic whine and adds a cutting guitar to the track. This is easily one of the best singles of the year, and we can only hope for a future full-length with these two. This song is not the love-torn anthem that Tom Petty and Stevie Nicks (a genius duet pairing) gave us with “Stop Draggin’ My Heart Around.” “Let Me Get There” is more about two floating souls laid back in a slower world: “It was always our story, if you forgot / Everything we say we have to honor / And all the things we feel we have to remove / It’s just the way we keep it all in the groove.” Don’t get caught up in the cheese of the lyrics—the two voices together equal gold.